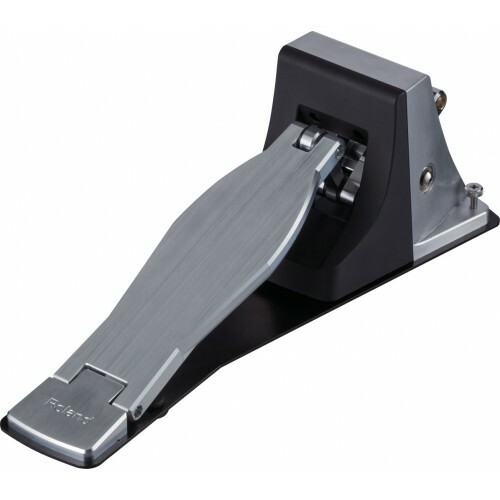 With its small footprint, the trigger is ideal for use alongside an acoustic kick pedal in a hybrid drum set. The unit features adjustments for customizing the feel to suit a personal playing style. The pedal response can be altered by removing weights in the beater mechanism or shifting them to different slots, while moving the spring to different hook positions. A "Mix In" trigger jack allows for creating a double-pedal setup with a second optional KT-10.